FREE SPIRITED STREET RIDING PLEASURE. 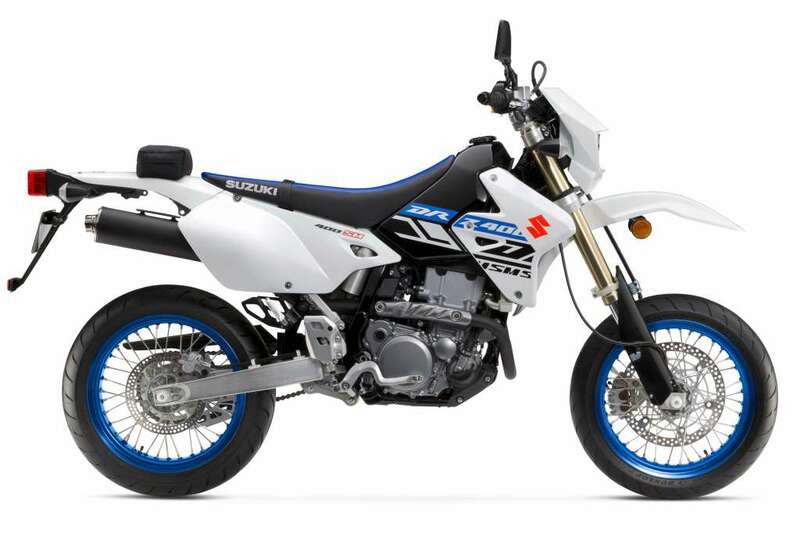 Suzuki’s SuperMoto DR-Z400SM is based on the proven DR-Z400S. 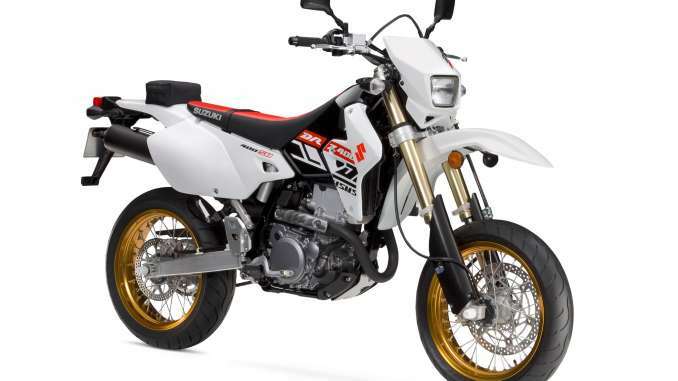 So it combines Supermotard style and features in a narrow, lightweight, street-legal package. This bike brings off-road soul and fun to paved roads. It’s not uncommon to take the SuperMoto down a twisty forest road, around tight canyon corners, or through commuter traffic. The Suzuki DR-Z400SM is a street legal bike for serious dirt bike enthusiasts. It’s not uncommon to take the SuperMoto down a twisty forest trails as well as tight canyon corners. Its 398cc liquid-cooled, four-stroke engine provides strong low-rpm torque and crisp throttle response for any of these occasions. They key difference between the DR-Z400SM and the DR-Z400S is the inverted forks. Inverted front forks contribute to less unsprung weight and improved overall handling. 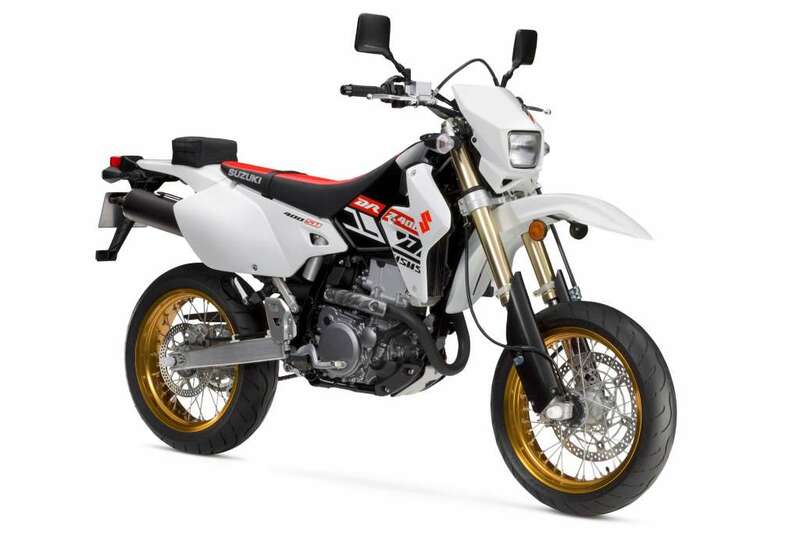 Suzuki’s Supermotard model, based on the proven DR-Z400S, combines Supermotard style and features in a narrow, lightweight, street-legal package.